Renting is a great choice for people who aren’t interested in purchasing a home at this time or simply want to try out a new neighborhood without making a long-term commitment. Luckily, you’ll have tons of options for renting in Austin! The real estate agents at Pauly Presley can help you find spacious and affordable houses for rent in Austin, TX and the surrounding areas. Whether you’re seeking a condo in Downtown Austin, a single-family house in a more residential area, or a duplex for rent, we can find a property that works for you. 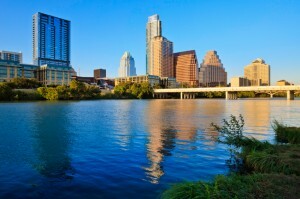 The city of Austin is overflowing with properties offering stunning views and unbeatable amenities. If you are looking instead to buy a home, browse the available homes for sale in Austin. If you’re not sure where to start, just ask! We are committed to our clients and are always happy to answer questions or assist in any step of the process. Feel free to browse our available properties and call Pauly Presley Realty to schedule a tour today! Great Family House That Has Been Well Maintained And Updated. Master And 2 Bedrooms Up With A Great Walk-in Closet In The Master. Updated Kitchen. Near The Park Within Walking Distance To Shops And Restaurants. Breathtaking Hill Country Views, Close To Downtown, Pool And Hot Tub, Secluded And Private On 5 Acres, 5 Bedrooms, 3.5 Baths. An Entertainer Dream, Spacious Kitchen, Ample Storage. Must See Home. When looking for property to rent, you’ll probably want to consider a few factors, including size, location, price range, and atmosphere. Chances are, if you’re looking for a house, condo, or duplex for rent in Austin, you probably already know how many fantastic options you’re going to have. There is definitely flexibility and diversity in Austin’s real estate market, especially as our city continues to grow and new construction flourishes. Austin has all types of homes whether you prefer a sleek modern vibe or a classic small-town look. Renters can easily live steps away from Lady Bird Lake, trendy boutique shops, universities, hiking trails, and exceptional restaurants of every type of cuisine. Based on your needs and preferences, our agents can show you several different properties you may be interested in renting. Let Pauly Presley help you find your new home for rent in Austin, TX. Our agents are experienced, friendly, and resourceful. We’ve represented hundreds of renters and love helping them find their new home. Based on information from the Austin Board of REALTORS® (alternatively, from ACTRIS) from April 22nd, 2019 at 11:45pm CDT. Neither the Board nor ACTRIS guarantees or is in any way responsible for its accuracy. The Austin Board of REALTORS®, ACTRIS and their affiliates provide the MLS and all content therein "AS IS" and without any warranty, express or implied. Data maintained by the Board or ACTRIS may not reflect all real estate activity in the market.